Architecture and development company Flank is planning to build an eight-story condo building at 224 Mulberry Street in Nolita. The 7,400-square-foot site, located between Spring and Prince streets, is currently occupied by a three-story parking garage. The project will have seven units and will be mostly duplexes, including a penthouse that will occupy the top two floors, The Real Deal reported. Each of the apartments will have private parking space. Flank paid $26 million for the property last summer. 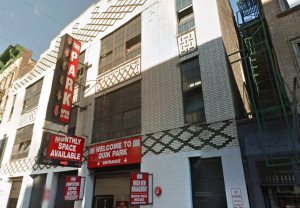 The firm is also partnering with investment firm The Carlyle Group to develp a 200,000-square-foot apartment building at 71 Smith Street in downtown Brooklyn.